Mesut Ozil has rejected a loan move to Paris Saint-Germain. The French club are eager to add to their squad before the window closes after Neymar was ruled out for 10 weeks. Neymar faces 10 weeks on the sidelines after picking up a foot injury in a French Cup clash against Strasbourg a week ago. He is set to miss the Champions League round of 16 clash with Manchester United, and Thomas Tuchel is keen to see his squad injected with more attacking threat in his absence. 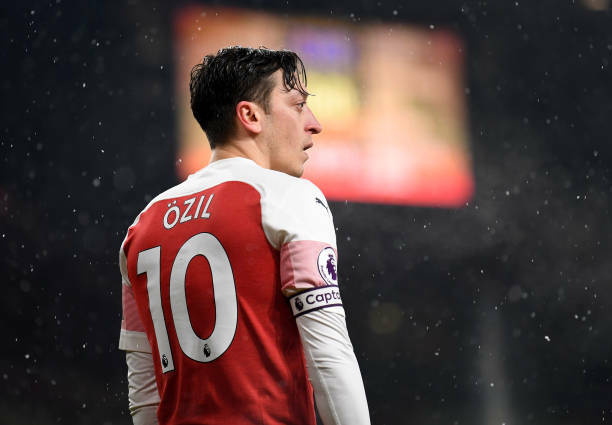 Ozil has been out of favour at the Emirates since Unai Emery arrived in the summer, taking charge from Arsene Wenger. He has started just 13 of the Gunners' 24 league games this campaign, with his manager suggesting that he does not trust the former Real Madrid man in key fixtures - leaving him out for tactical reasons. Reports also suggest PSG could make a deadline day move for Chelsea winger Willian. Both Ozil and Willian would be available to play in the Champions League, having only featured in the Europa League for Arsenal and Chelsea respectively this season.